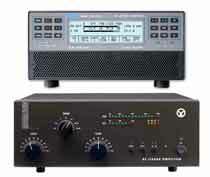 Hamshop is the Benelux importer, distributor and dealer of SPE amplifiers and Alpine amplifiers. We also sell Acom amplifiers. All these brands are top quality and the manufacturers give excellent service. SPE's are fully automatic FET amplifiers. Available in several variants, with or without antenna tuner and can be fully controlled CAT / CIV. Moreover, the SPE's have no less than four antenna connections and can be used even SO2R . Acom Alpin and amplifiers are equipped with tubes.